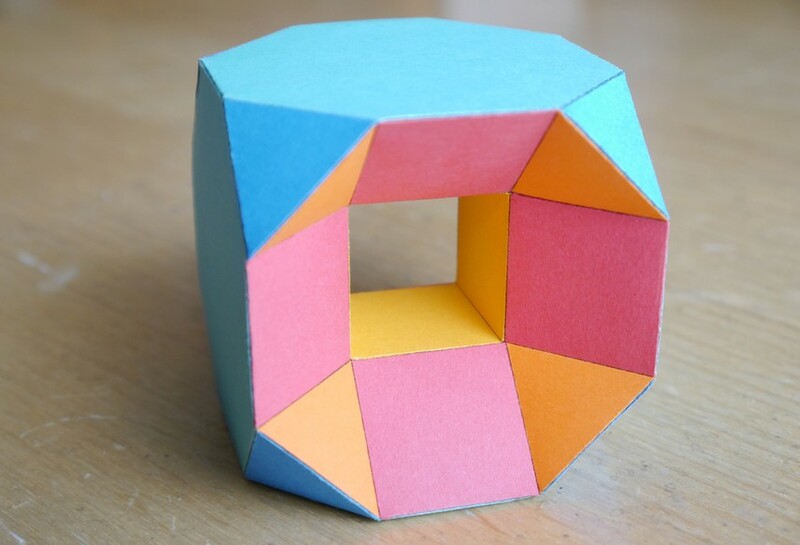 This model is a truncated cube that has square cupolaic excavations in two opposite octagonal faces, and is then drilled by a central cube to create a hole through the model. It has a genus of 1, ie it has one hole. 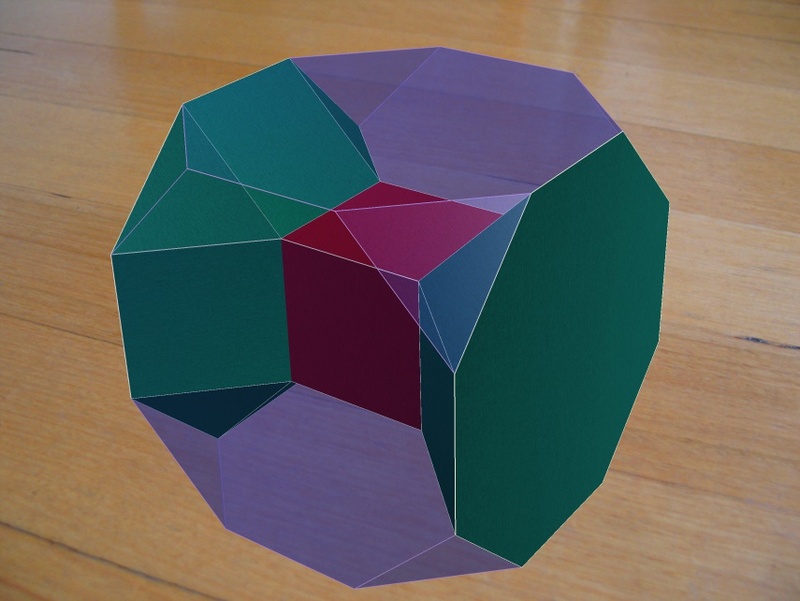 Here's the shape of the hole, inside a transparent truncated cube. A cube in the middle (red), where 2 opposite faces have been augmented with square cupolae (green).